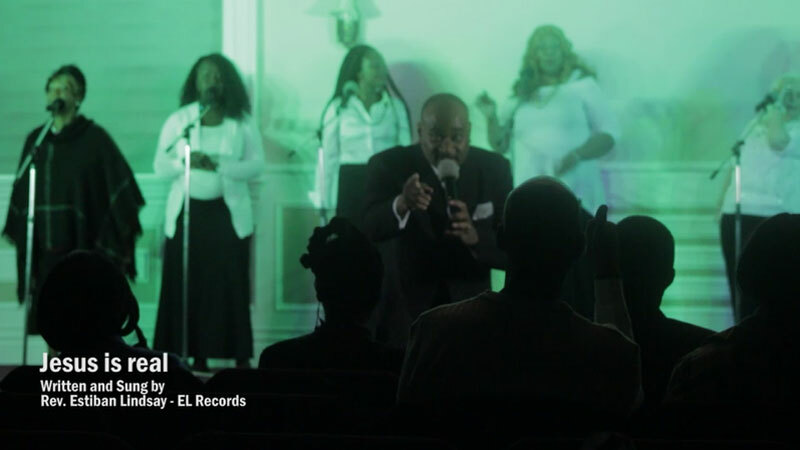 No stranger to the field of gospel music, Reverend Estiban Lindsay is a true profesional who began his singing career as a child at church in Jamaica. He has shared his Faith and joy by singing the Gospel in Church, Weddings, Concerts and Private Functions around the world. 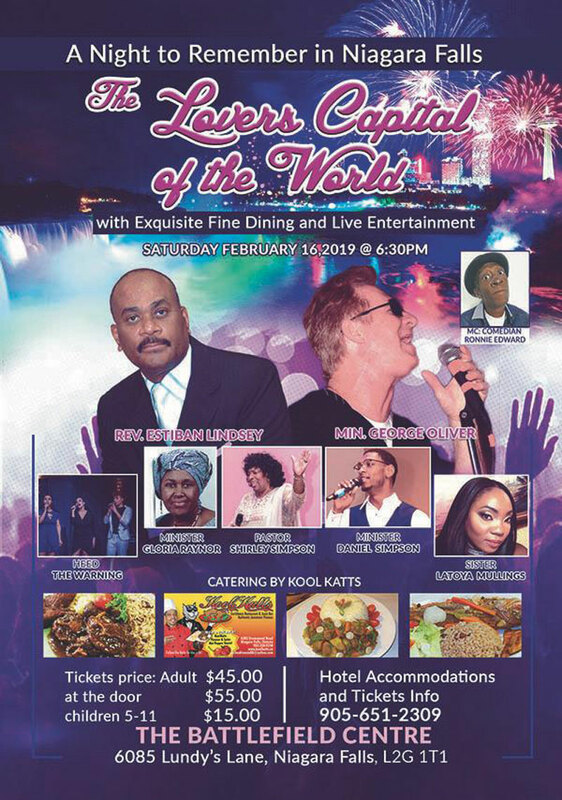 A night to remember in Niagara Falls... come and enjoy "The Lovers Capital of the World" with Exquisite Fine Dining and Live Entertainment, Saturday February 16, 2019 at 6:30pm. Hotel Accomodations and Tickets information please call 905-651-2309. Shower of Blessing Ministries proudly presents a concert with Rev. Estiban Lindsay and Sister Tamara Joy James. Join us at 46 Dean St. Brampton, Ontario (Kennedy & Steeles, 4 blocks North on left). For more information call 647.631.5649 or 647.296.7324. 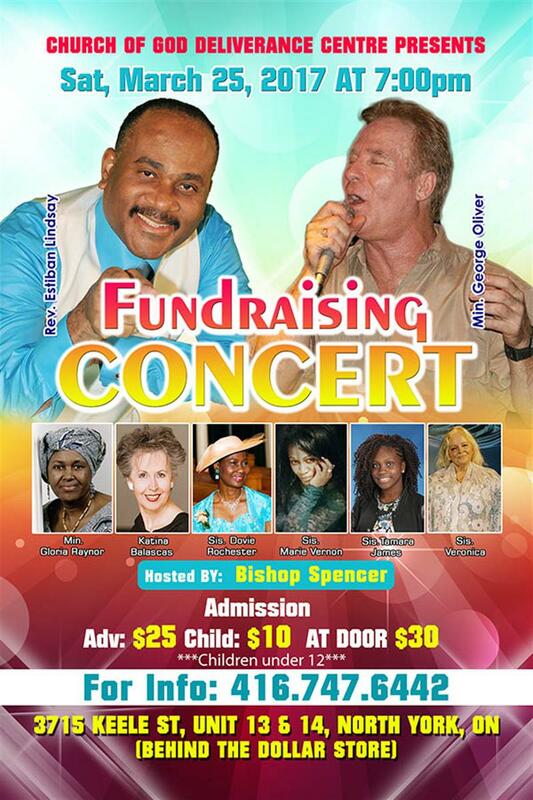 Come and join us to a Fundraising Concert with Rev. 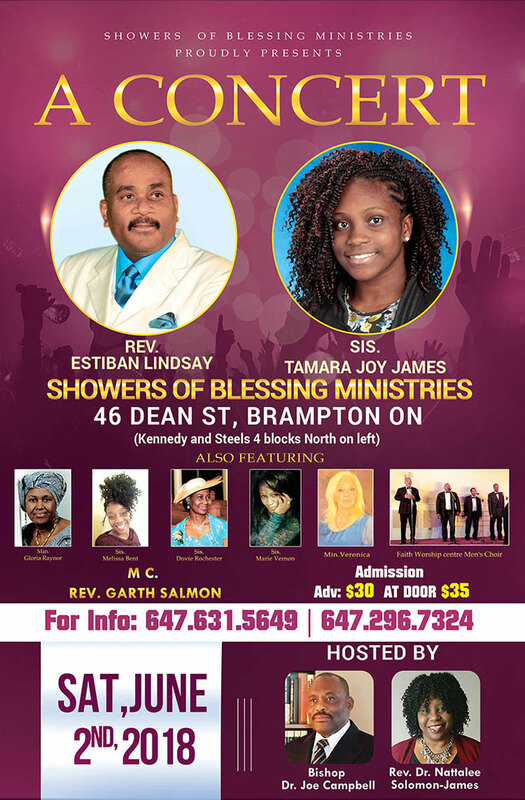 Estiban Lindsay and Minister George Oliver on Saturday March 25 at 7:00 pm at the Church of God Deliverance Centre, 3715 Keele St. Unit 13 & 14, Toronto (behind the Dollar Store). Admission $25 and Child $10... at door $30. Call 416.747.6442 to get your tickets today! Rev. Estiban Lindsay is releasing a set of recent produced music videos. 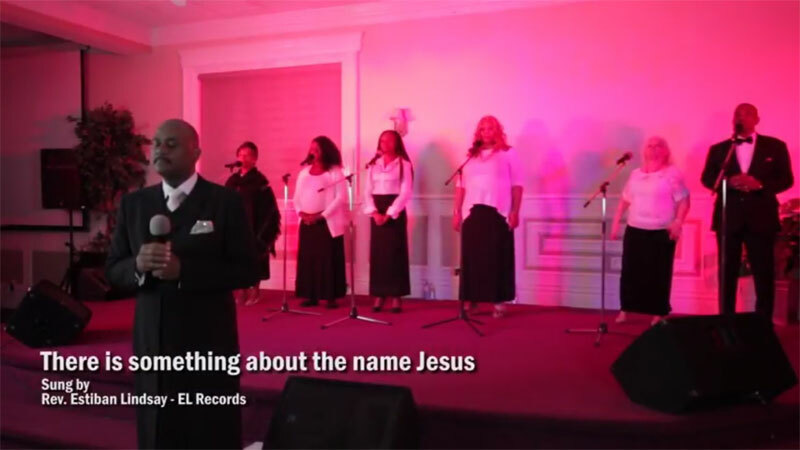 This week we are promoting the song "Something about the name Jesus". To contact or book Rev. Estiban Lindsay please call (289) 232-7627 or (647) 296-7324 or through his website contact form. 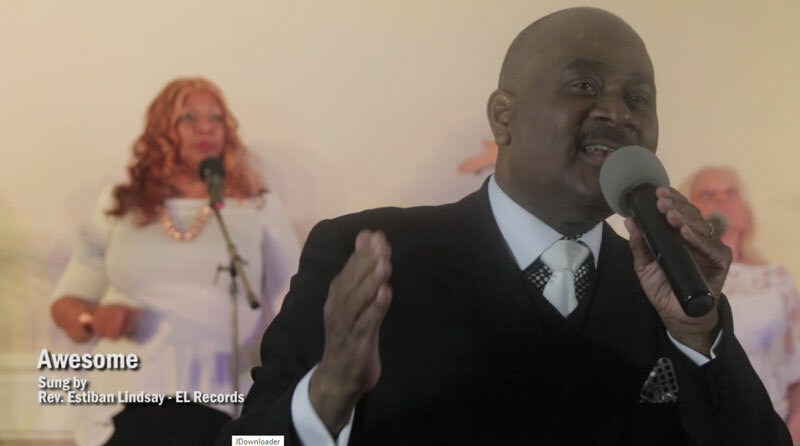 Reverend Estiban Lindsay was performing a set of 3 songs on the evening of Saturday October 15, 2016 at HOPE In Christ House Of Refuge Church International. Rev. Estiban Lindsay is releasing a set of recent produced music videos. 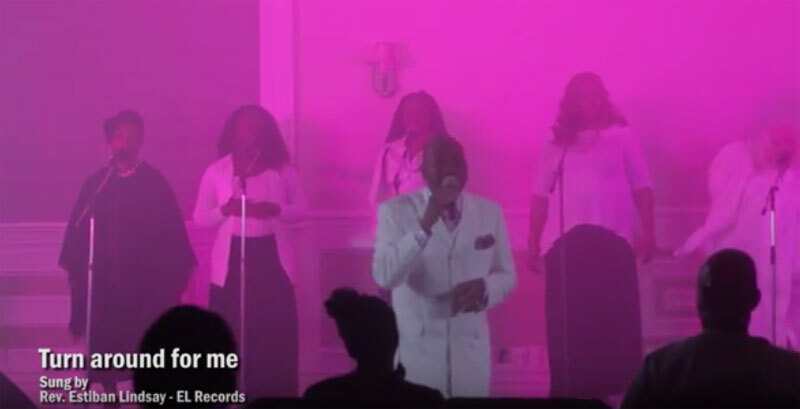 This week we are promoting the song "Turning around for me". To contact or book Rev. Estiban Lindsay please call (289) 232-7627 or (647) 296-7324 or through his website contact form. Rev. Estiban Lindsay is releasing a set of recent produced music videos. 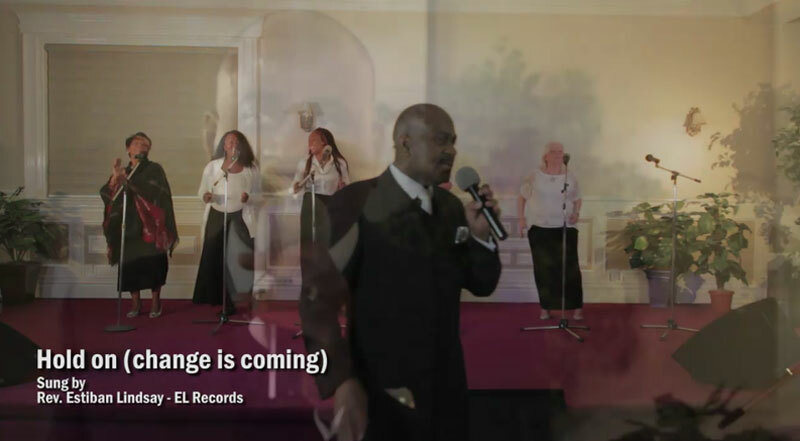 This week we are promoting the song "Hold on, change is coming". To contact or book Rev. Estiban Lindsay please call (289) 232-7627 or (647) 296-7324 or through his website contact form. Rev. Estiban Lindsay is releasing a set of recent produced music videos. This week we are promoting the song "Jesus is real". To contact or book Rev. Estiban Lindsay please call (289) 232-7627 or (647) 296-7324 or through his website contact form. Come and joins on Saturday July 9, 2016 @ 6:30PM at 3715 Keele St. (Keele & Sheppard). 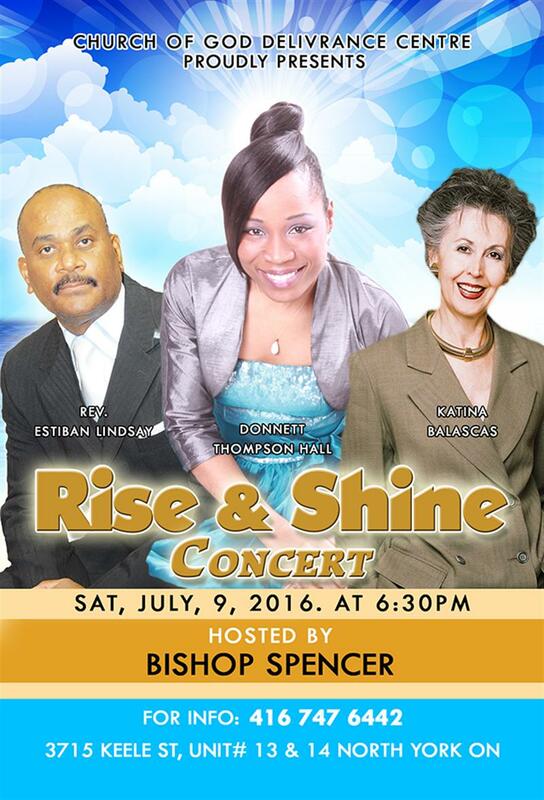 Rise & Shine Concert hosted by Bishop Spencer featuring Rev. Estiban Lindsay, Donnette Thompson Hall and Katina Balascas. Call 416.747.6442 for tickets and information. © 2016-2019, Rev. Estiban Lindsay (revestibanlindsay.com) All Rights Reserved.